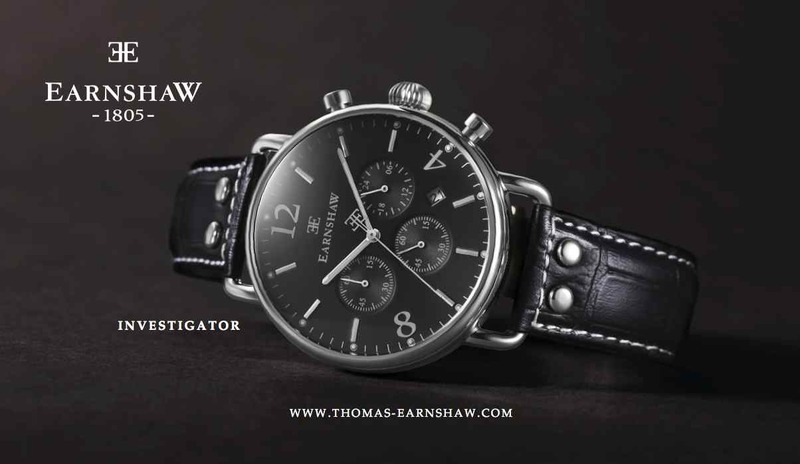 Thomas Earnshaw – British brand ? Browsing though old magazines at the barbers this weekend I stumbled across another “British” brand – Thomas Earnshaw. Getting home I did a little digging and discovered a website ( http://www.thomas-earnshaw.com/pages/thomas-earnshaw-1749-1829 ) full of British horological history. Was this a secret I had somehow missed? Born on 4 February at Ashton under Lyne, Lancashire near Manchester, England. Thomas Earnshaw is revered as a legend and pioneer in the field of Horology. Born in Manchester, England in 1749, he was celebrated for his work in refining, and improving upon the Marine Chronometers of the era. It was those Marine Chronometers, crucial to the journeys taken by the boats in the Royal Navy as they circled the globe during a golden era in English history of science and exploration. None more so than Chronometer no. 506, carried by HMS Beagle which carried Charles Darwin on his journey around the world to inspire his breakthrough study of evolution, “On The Origin of Species”. Lauded for his work with marine chronometers, Earnshaw also embraced the challenge of developing clocks for use in Observatories such as those in Greenwich and Armagh and examples of his exquisite work can be seen in museums and auction houses around the world. It is this pioneering spirit to further the science of horology, coupled with a drive for excellence in craftsmanship that is at the heart of the Earnshaw timepiece which is available for the watch connoisseur and enthusiast alike. Unfortunately, it is the usual false trail. The brand Earnshaw is owned by Dartmouth Brands Ltd. Dartmouth in turn is owned by a Hong Kong company where they have a manufacturing plant.They “Swiss Made” claim also seems a little mis-leading. The one positive that can be taken from this company is they are trying to sell a “British heritage” which they clearly believe is something that is marketable. This evening I was enjoying a nice programme on Channel 4 about the building of new Jaguar E-types light weights. Then about half way through they start to discuss the “gifts” the buyers will receive with these £1.2m cars and off they go to a British watch manufacturer – Bremont. So if you like cars as well as watches ( a common symptom ) then the programme is well worth seeing. It’s title is “Inside Jaguar: Making a Million Pound Car”. 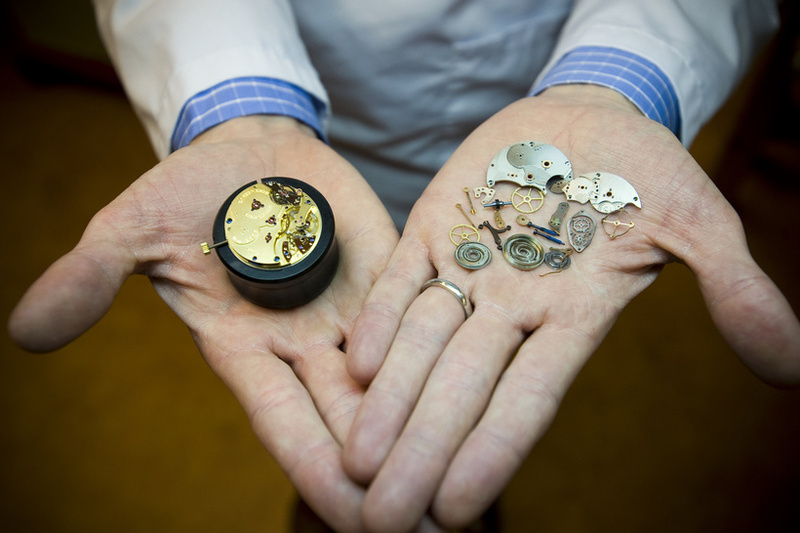 Quoting Rabbie Burns is not the best way to introduce a story on Robert Loomes & Co, Lincolnshire’s determinedly English watchmaker, but “the best-laid schemes o’ mice an’ men. Gang aft agley,” seems fitting, as what was a simple plan to raise funds for the Mountain Trust and the Gurkha Welfare Trust has become a somewhat more serious endeavour. Loomes & Co sent a batch of watches off to Everest with a party from the Royal Gurkha Regiment, who were planning to climb the world’s tallest mountain as part of the 200th anniversary since the first Gurkha battalion was raised in India. Loomes’ interest lay in the company’s use of (extensively) reworked Smiths movements in their Robin watches, Smiths having famously sponsored the 1953 expedition to Everest which saw Edmund Hillary and Tenzig Norgay conquer the summit. The catalyst, however, was a chance encounter with the chairman of the Mountain Trust, Charles Malcolm-Brown. He offered Robert Loomes the opportunity to send watches to Everest as part of the Gurkha expedition and on March 10th the watches were officially handed over at Stamford Town Hall. The watches use 19 jewel, manual-wind, Smiths movements that have been completely stripped and re-built with re-frosted and gilded plates as well as lighter “cold weather” lubrication, adjusted for running at -20 and -40 degrees. Sadly, events overtook the expedition in the shape of the disastrous series of earthquakes and aftershocks that have devastated Nepal over the past few weeks. The team were already above Camp 2 on the Everest massif and climbing to 7,000m when the quake struck. The subsequent avalanche stranded them and other groups above the effectively impassable Khumbu Glacier. After co-ordinating the helicopter rescue of their own party and everyone above them on the mountain, the Gurkha team helped lead the relief work at base camp. Once the team finally return, two of the watches will be auctioned on behalf of the Mountain Trust and the Gurkha Welfare Trust – both organisations that are well-placed to help deliver aid and relief to the mountain communities so hard-hit by the recent quakes. In the meantime Robert Loomes has set up a raffle page to raise funds, the prize being an Everest Expedition watch: visit the website for details on how to enter. The calendar complication is one of the more commonly seen complications in mechanical wristwatches. One thing they don’t do is keep track of leap years where an extra day is added to February. To correctly show February’s leap day, you would need a perpetual calendar complication in your watch, which is comparatively much more complicated, and much more expensive than a normal calendar complication. Beyond leap days and years, there are leap seconds. Leap seconds are applied to coordinated universal time on an occasional basis, to account for a small irregularity in the Earth’s orbit. What if you wanted to take the accuracy of your watch one step further, and keep track of leap seconds? Then you definitely need a Hoptroff watch. British-made watches are back (at last)! 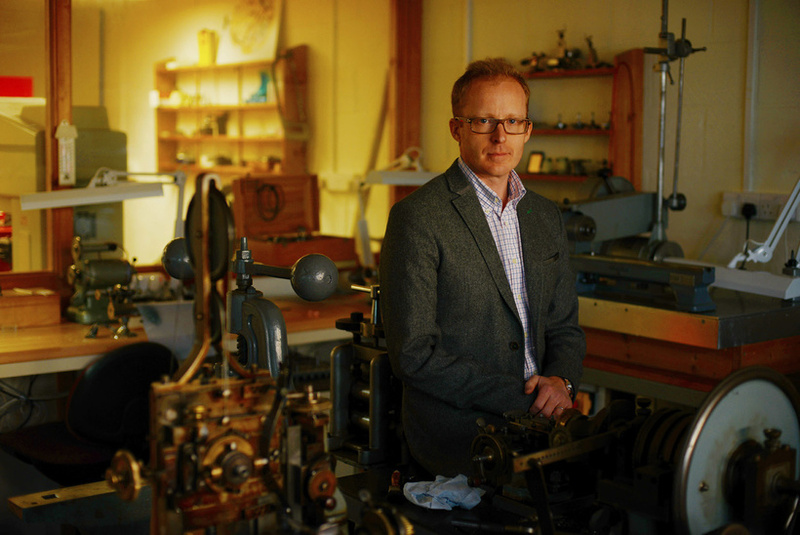 A few British watchmakers have set up business in Switzerland. Recognized for their talent, they have inspired a young creative generation, who have chosen to remain in the UK and champion their fondness for “British Made” timepieces. All eyes are on Switzerland, as the models shown at Baselworld gradually arrive in stores, on the United States, where the Apple Watch is keeping pundits on their toes, and on France, where Lip is breathing new life into its fascinating and eventful history. But where does Britain stand in all this? Although a nation with an illustrious watchmaking past, it is certainly not grabbing any industry headlines, despite leaving a deeper mark than many of its continental rivals. 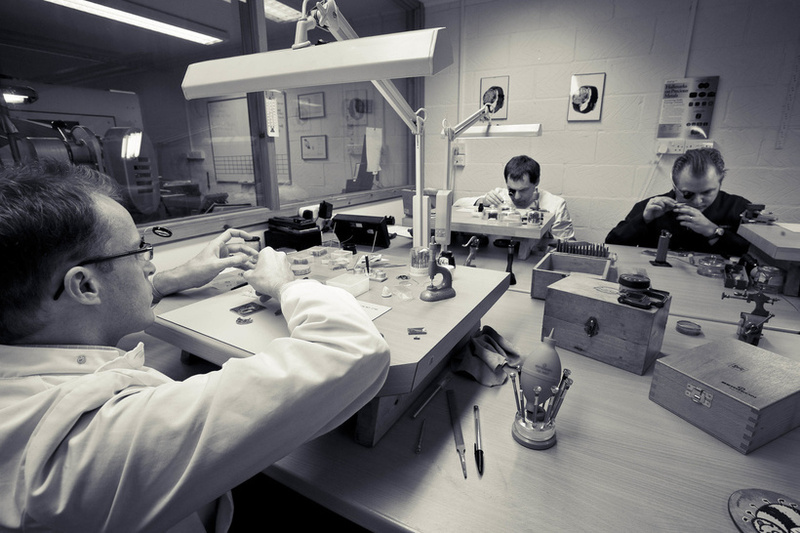 For the British watchmaking industry is currently thriving. The number of British-made brands has rocketed over the last 10 years, as has their numbers of fans, to such an extent that an annual watch exhibition (Salon QP) now takes place in London. George Daniels is the man who paved the way. One of the last representatives of traditional fine watchmaking, born just after the First World War and 100% self-taught, he was a brilliant inventor and produced some extremely rare masterpieces that now fetch astronomical prices. His disciple Roger Smith, also a subject of Her Majesty, carried on the tradition. 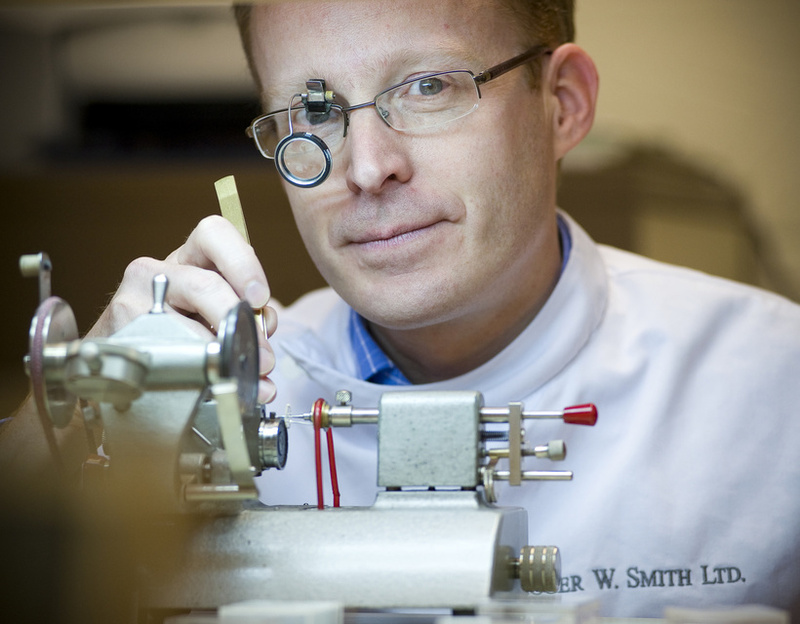 Although Smith still lives on the Isle of Man, some of his fellow countrymen left long ago for Switzerland, Stephen Forsey of Greubel Forsey being one of the best known examples. But he is not the only one. For the past 12 years, Peter Speake-Marin (born Peter Neville Speake) has been a leading light in fine mechanical watchmaking with his quintessentially British-style models, such as the Piccadilly. Arnold & Son (also based in Switzerland) is a brand belonging to La Joux-Perret Manufacture that pays a powerful tribute to the achievements of watchmaker and inventor John Arnold, born in Cornwall in the south of England, in 1736. They are akin to Robert Loomes in spirit. This English watchmaker, who set up business in 1991, only offers limited edition timepieces in very traditional designs. He has preferred to remain in Britain. This is also true of his counterpart Peter Roberts, a watchmaker with 45 years of experience in the industry, who has given us grand complication timepieces, no less, driven by Valjoux 88 movements. Incidentally, his hybrid Anglo-Swiss pieces do not carry any indication of origin (neither Swiss nor British Made). Despite their diversity, these talented watchmakers all cater to the fine watchmaking market, which is elitist by nature. Other brands have therefore concentrated on offering more affordable ranges. And there are many of them, all resolutely British and increasingly popular with connoisseurs. The most prominent of these is Bremont. When Nick and Giles’s father died in an aviation accident, the two brothers dropped everything to found Bremont in tribute to their father, who loved fine watches. Their surname, unsurprisingly, is “English”. 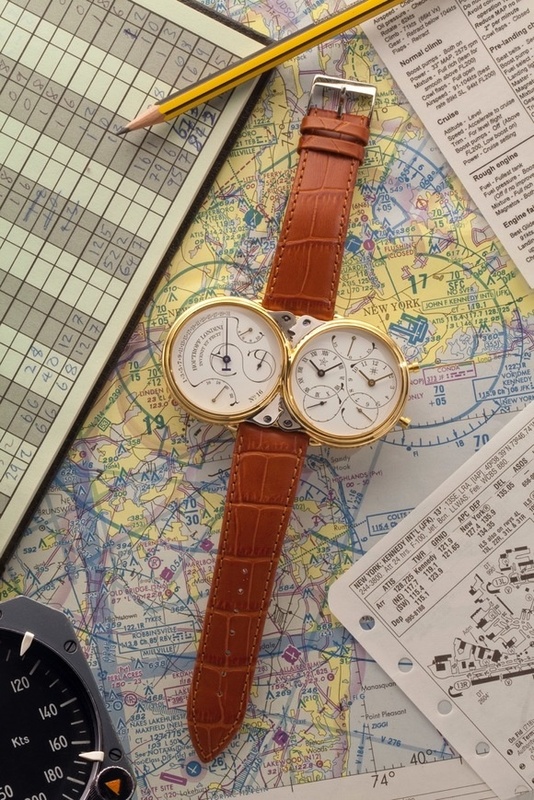 For over 10 years, their brand has kept others, such as Breitling and Bell & Ross, on their toes in the pilot watches segment. The price range for these timepieces (from 3,000 to 4,000 Swiss francs, on average) makes them a closer competitor to Bell & Ross than Breitling. To further highlight its uniqueness, Bremont has recently replaced the “Swiss Made” on its models with a proudly proclaimed “British Made”. Even if, like all the best chronometers, they are still certified by the COSC! 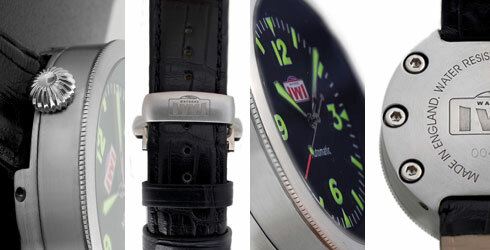 Other brands without Bremont’s stature are coming forward to ensure a safe future for British watchmaking. Most of these businesses are “millennials”, born in the 21st century. And they all mark the rebirth of the British watchmaking industry. Meridian, for example, uses Unitas movements. Its two British founders launched the business in 2011 with models selling at around 5,000 Swiss francs. They are distinctive for their modern look, featuring oversized hands and proportionately large cases. 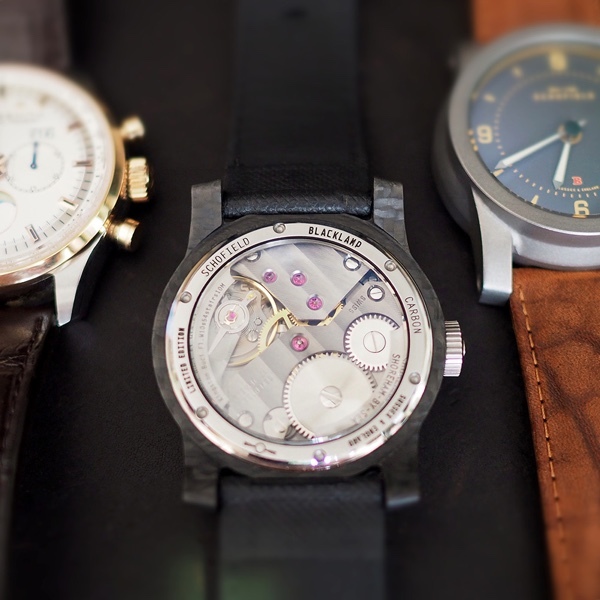 Their approach is very different to that of Pinion Watches, a relatively new brand launched in 2013 by Piers Barry. We might ask about Mr. Barry’s watchmaking credentials—in fact, he has none. He was (and still is) the owner of a web agency. His designs, such as the Axis, are understated three-hand watches targeting the local market or fans of British-made timepieces. Schofield is a young business cut from the same cloth. Launched by Giles Ellis in 2011, it produces three-hand watches stamped with the words “Sussex & England” in tribute to a tradition rooted in the sport of cricket. The brand sits in the 2,000 to 3,000 franc segment and uses ETA movements. So where does the name Schofield come from? Its inventor openly admits that he hasn’t the faintest idea! In short, there is no brand history and the products must speak for themselves. Suffice it to say that Schofield’s success is contingent on its buyers literally falling in love with its timepieces, for the brand is struggling for recognition beyond the circle of British watch connoisseurs, and its profile is correspondingly low. At the end of the day, these brands are carrying on the legacy of others such as Accurist and Rotary, British watchmakers who use Swiss movements but most of whom never managed to successfully negotiate the advent of quartz. The new generation has kept us waiting, but now it has arrived, the British watchmaking scene is more vibrant than ever before. I innocently posted a link to this blog on the Bremont section of Watchseekers forum, thinking if a reader was interested in the Bremont brand they might like to read about other British brands. I went to the forum today to discover I have been banded from the forum for “Unwanted content”. Clearly the “community” is more commercial than I thought. One company I am a little guilty of ignoring is IWI, this is probably because their press releases tend to highlight the successes of their motorsport ambassadors, rather than their watches. This is a shame as they offer a distinctive and handsome range. IWI Watches is the realisation of a passion for English watches, a love of English craftsmanship, a commitment to the best of British engineering and the presentation of exceptional quality. IWI Watches are English luxury watches of the highest quality, individually handmade from perfectly engineered parts, in house, in England. Our watches, designed and crafted with inspiration from a history of over three hundred years of English watchmaking, recognise the 17th Century horological founders who led the world with their creativity, passion for excellence and engineering brilliance, putting not just England but Great Britain on the global horological map. The crown sat proudly at 12 o’clock and the classic dial show our dedication to the purity of watch design. IWI Watches celebrate beauty and precision paying equal homage to both the pocket watch and the stop watch, each used over hundreds of years to mark events in history and moments of great human achievement. 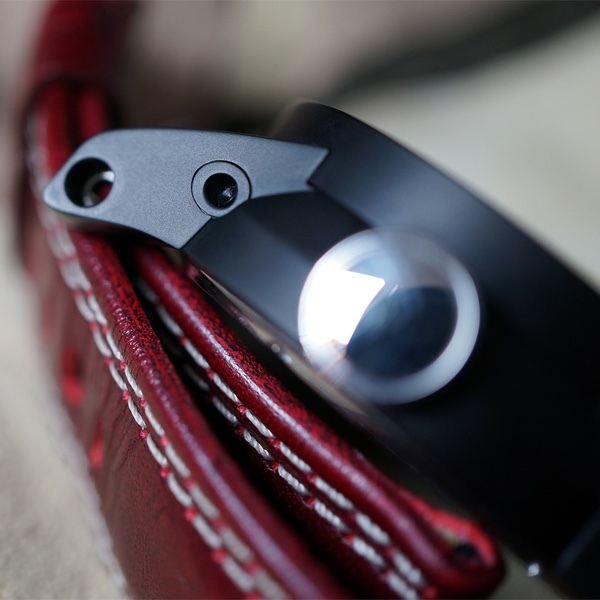 This unique watch case design is unconventional and yet obvious, conveniently ambidextrous and harmoniously balanced. IWI Watches are seen at motor racing circuits around the world, on and off the track. IWI has a heritage of being at the heart of motorsport, a sport where every second is important. IWI Watches can be seen on some of the finest racing machinery in the world, on the wrist of F1 drivers and club racers alike. IWI Watches are individually hand made in England using the latest precision technology at every step to design and create these modern classics, combined with the finest materials and components. Each of the cases is machined from solid to IWI’s exacting standards in a workshop local to our base. 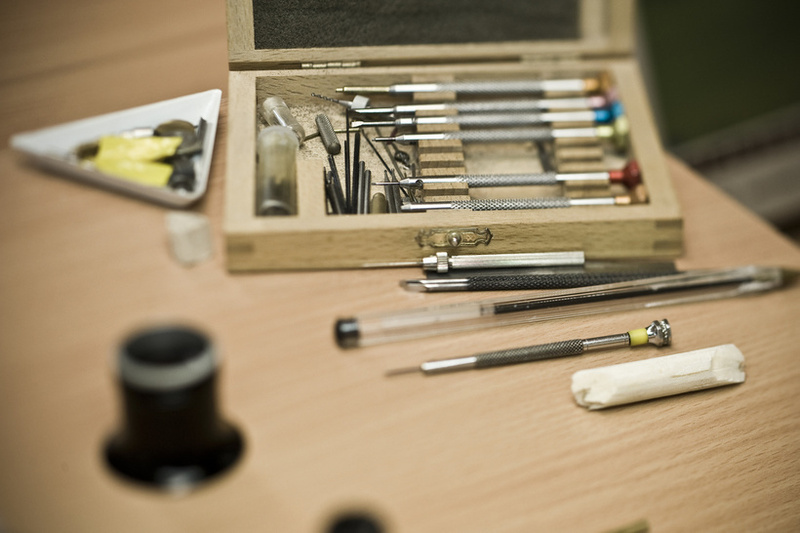 Every IWI Watch passes through a master watchmaker’s hands. He finishes each assembly personally, tests and calibrates each and every watch and the final step is in passing the watch to our CEO for signing the certificate that accompanies each watch. Every watch has an individually numbered case which is machined from the very high quality stainless steel, gold, rose gold or other precious metal, this is then hand finished. Our movements are the finest quality chronometer standard Swiss Automatic movements which are used in all the Gents watches. Swiss quartz movements are fitted in the Ladies watches. Our scratch-resistant sapphire crystals are of exceptional quality. With the incorporation of craftsmanship and the latest technology combined with IWI’s unwavering high standards, the renaissance of English watchmaking is safe on the wrist of IWI Watches, now globally promoting all that is thoroughly British in pure quality and the highest standards of design. Unique, exciting, dynamic, creative craftsmanship fusing heritage with modernity, IWI is more than time itself. 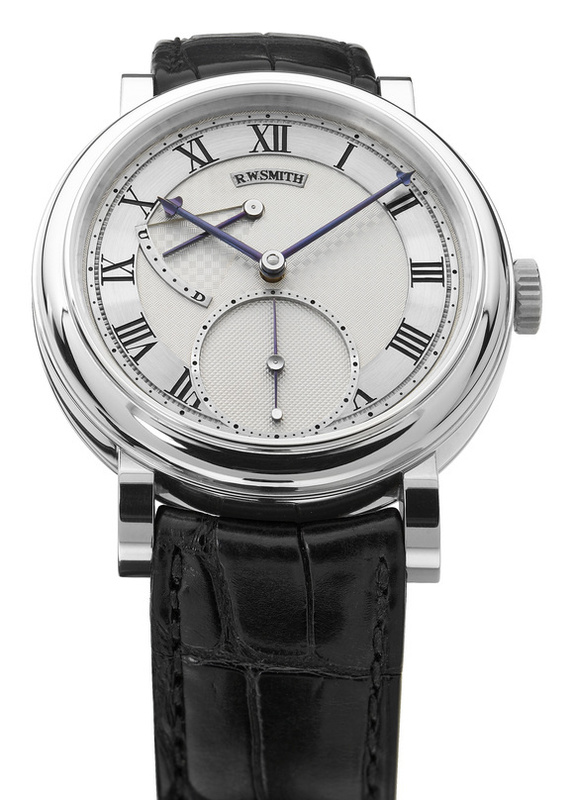 Remontoire: from the French, remontoir d’egalité, a device used to provide constant force to the escapement. , and an up/down mechanism. 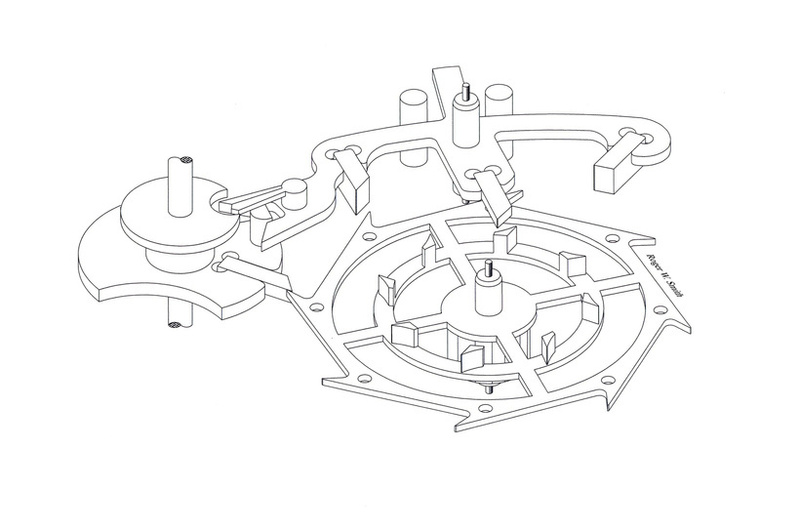 What is the Peto cross detent escapement? You can see it in Chamberlain’s book It’s About Time. It is, if you like, a “purist’s detent escapement” because the purist would say that as the classic spring (which traditionally sits on the side of the detent) flicks back, it could potentially destabilize the detent. So you have the classic spring on the opposite side of the detent. The detent then comes into the center; the classic spring comes into the center, and it does all the work, but doesn’t influence the detent. 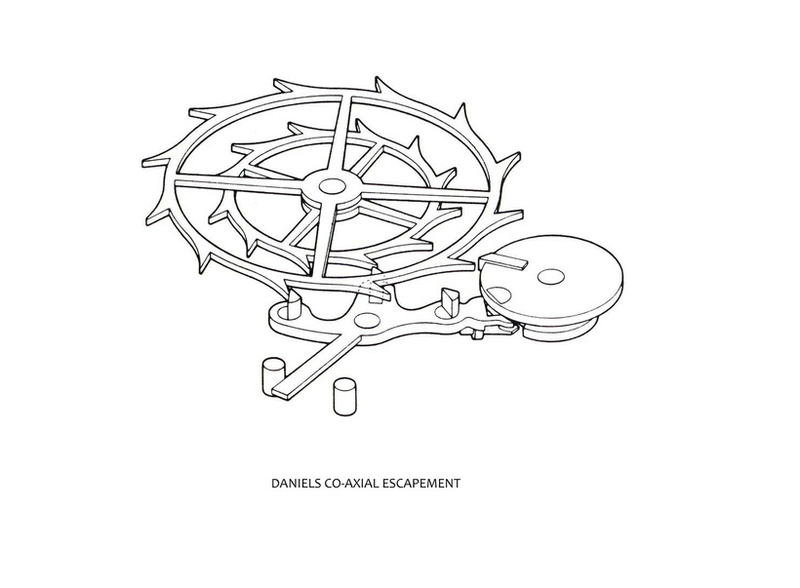 So it’s a real purist’s escapement. 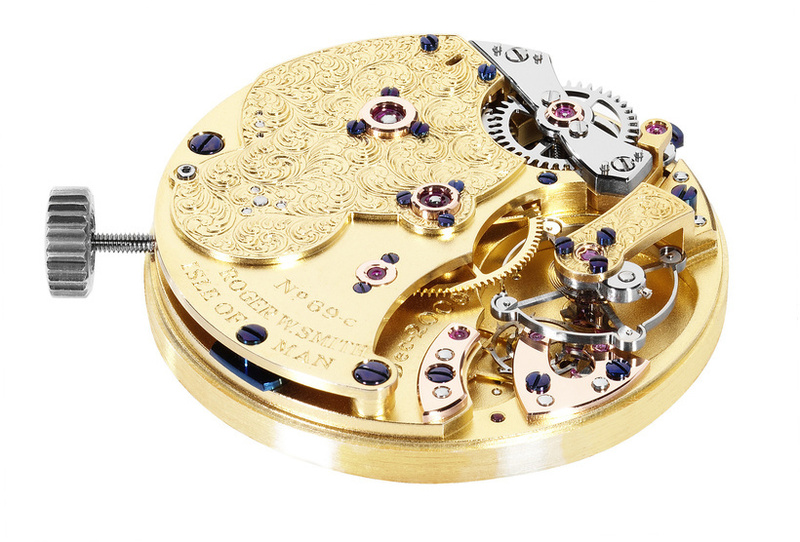 Mechanical watches are powered by a coiled spring known as a mainspring. As this spring uncoils, the amount of time that the watch can run diminishes. This remaining amount of time is referred to as the power reserve, winding indication, or up/down indication. An indication turning through an angle or a linear indicator appears on the dial to display the power reserve, similar to a car’s fuel gauge. 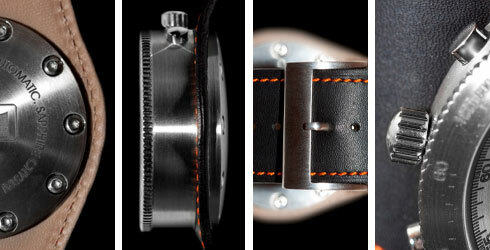 A dial is a visual interface to a watch, displaying a variety of information produced by the movement. Hands are used in conjunction with a dial to indicate time. They are thin pieces of metal attached to a center point of rotation. function for it, because it had the [date] window at 3 o’clock, so he designed a very simple but very clever little system to operate the hand.So [the date] changed from a window to a hand? Can you imagine this situation if Rolex said “okay, we’re going to shift over to the co-axial.” Suddenly it would be like saying, “Omega is better than us.” It’s never going to happen. It’s a shame because really it’s stifling horology. It’s stifling progression. 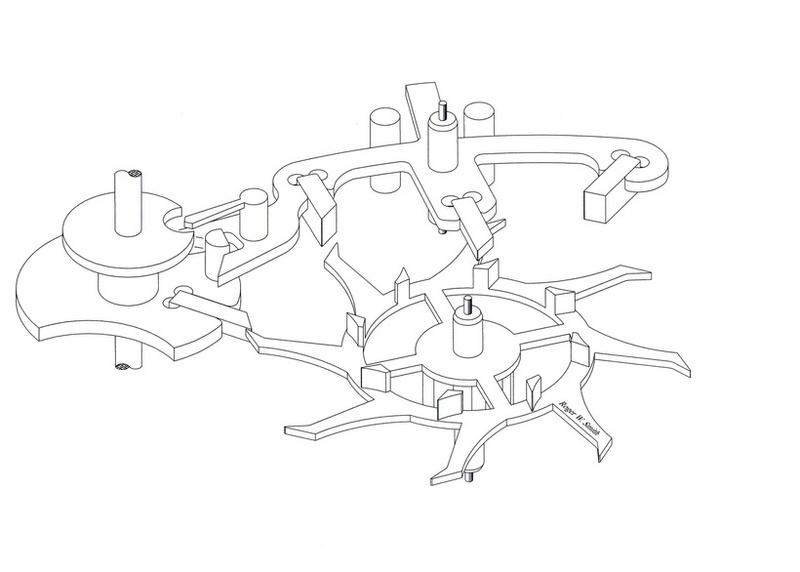 – Roger Smith on the lack of widespread adoption of the coaxial escapement.